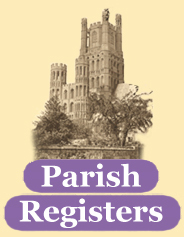 Many companies are now beginning the transcribing and indexing of Parish Registers, adding them to their websites for people to view. TheGenealogist is already ahead of the competition, as the site offers access to fully-searchable Parish Registers from as little as £5. There are over 7 million records available to search, and this number is continuing to grow. There are many websites offering online records, but the best value site by far is The Genealogist. This is an online research site, holding complete BMD and census records, along with much more including Parish Registers. Access to Births, Marriages & Deaths, Census 1841-1901, Military Records, Family Tree Builder, Unique tools . Credit-free, so no need to worry about running out of credits! Includes everything the Starter subscription has and more. Access to all records on the website. Exclusive Diamond content includes the 1911 Census, international records, newspapers/magazines, and much more! Credit-based subscription. Credits included and any unused credits can be carried over. To view these options in more details, click here.